Abbie Mann, @abbiemann1982 shares her thoughts on wellbeing, workload and being a best selling author. What lead you to write this book? 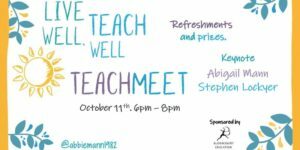 Live Well, Teach Well came about as a result of a real focus on my own wellbeing. The first five years of my teaching career were the most challenging for me. I worked as a part-time youth worker three nights a week, was given two TLRs in my second year of teaching, and took on an Open University course to improve my English literature knowledge. It goes without saying that I was working far too many hours and spinning far too many plates. I took action by quitting the youth work and learning to say no. I discovered Twitter at around the same time and began attending teachmeets and conferences across the country. It soon became apparent that Twitter was also full of wonderful people sharing their own resources and ideas. 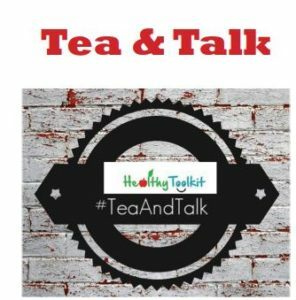 I decided to do the same and began sharing my own wellbeing ideas. Originally, lots of the ideas came from a blog I had started on Staffrm (sadly, no longer available as a blog site). A friend then suggested I write a book proposal for Bloomsbury and I was thrilled when they accepted. The book is high up in the Amazon sales figures for education books, how does it feel to be a successful author? I had no idea that the book had become a bestseller on Amazon. It was actually a friend who told me it was in the top ten. The following week it was number one in the Philosophy of Education section. I was honestly completely shocked, but also incredibly happy that the book was being received so positively. When I wrote the book I remember thinking, ‘Why would anyone want to read this?’ Impostor syndrome was in full flow. Now when I think about it, I still struggle to believe that I actually wrote it at all. 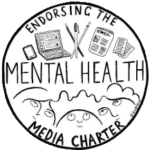 I continue to be amazed at the wonderful responses from people who have read it and I truly hope it helps as many people and schools as possible. 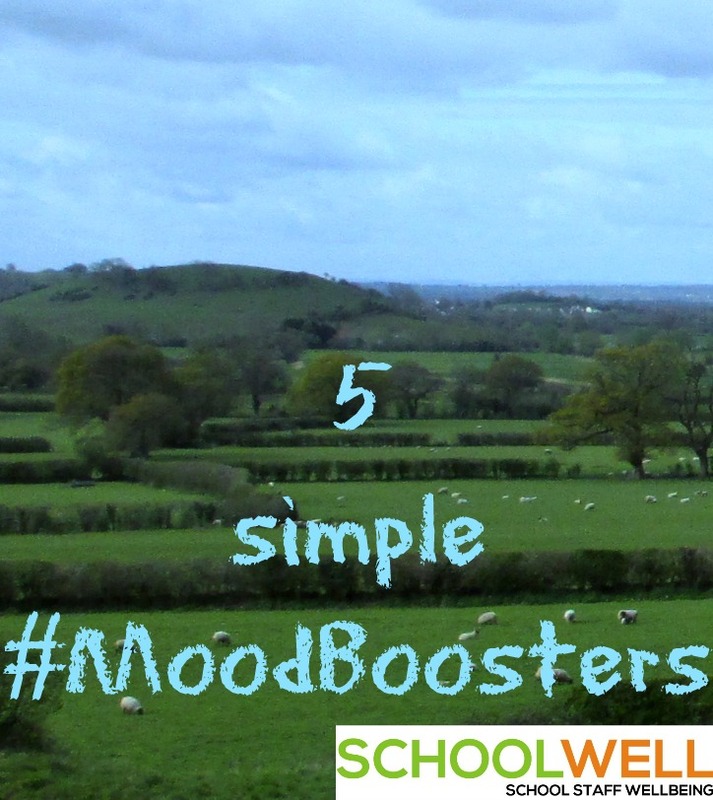 What would you say are the strategies that have most impact in improving wellbeing? I would say the strategies that have most impact in improving wellbeing are those made by senior leaders who are committed to reducing workload. When I consider what improves my own wellbeing, it’s having more time to spend with my family and friends. 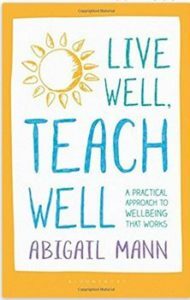 In my experience, teachers don’t want to spend more time in school taking part in well-intentioned but potentially superficial strategies in an attempt to improve wellbeing. My book contains plenty of ideas about building a strong school community but unless school leaders address the workload issue first and foremost I fear these ideas may fall flat of their main intention. One of the strategies recently introduced in my current school is to reduce marking workload by focusing on whole class feedback. It has reduced my marking time by hours which means more time for me to effectively plan and more time to spend at home. I would also say on an individual level learning to say no to things has helped me enormously. Understanding that good is good enough and accepting that not everything you do is going to be perfect allows a sort of release from the pressures that teaching brings. Where would you say that responsibility for staff wellbeing lies? I believe the responsibility for staff wellbeing lies in a number of areas. Firstly, I feel my wellbeing is my own responsibility. If I am unhappy with something, where possible, I change it, even if that means changing schools. Not every school is going to be the fit for you and that’s okay. Not all schools are the same. I also feel school leaders share some of the responsibility here. As a school leader myself, I want to make sure my team are happy, confident and comfortable enough to complete their roles to a good standard. Where this isn’t the case I take it upon myself to help and support the team. Senior leaders also have their part to play. As already mentioned, they should be actively looking to reduce workload for their staff. Finally, the government play a part too. 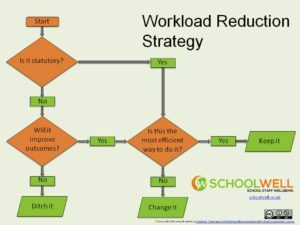 Many of the workload challenges schools face have come about as a result of the changes made at government level. I would like to see the Department for Education make real strides towards improving workload for teachers in the UK. Until such steps are made, we can all work together at a grassroots level to alleviate the stress. Given the extreme financial pressures on schools these days, what low-cost strategies would you recommend for supporting staff wellbeing? As already mentioned, I believe one of the biggest impacts on teacher wellbeing is workload. There are some simple, cost-effective ways of reducing this that all school leaders can implement. Firstly, stop asking teachers for lesson plans for individual lessons. Trust teachers to plan effectively. Secondly, stop asking teachers to mark (and sometimes double or triple mark) pieces of work. Whole class feedback has been around for a few years now and it’s pleasing to see so many schools making the change to this, but there are still many schools out there asking too much of teachers’ time with outdated and ineffective marking policies. Another idea would be to only have meetings where absolutely necessary. If it can be said in an email do that instead. I’ve couldn’t count the hours I’ve lost in unnecessary meetings. If staff have a PPA for their final lesson, why not let them leave early? I know I sometimes plan much more effectively in the comfort of my own home than a classroom I’ve been in all day. Encourage staff to plan and collaborate together. My current school uses Google. Staff share documents and save time doing it. 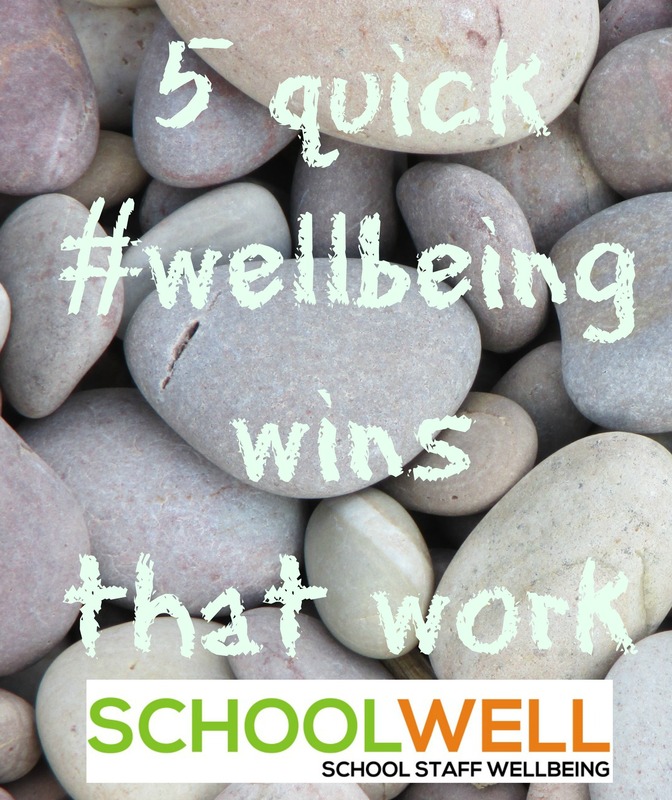 Put simply, anything that reduces workload is likely to be a win for wellbeing too. What part would you say that social media is playing in the wellbeing debate? That’s a tricky question. Personally, I doubt I would be the teacher I am now if it weren’t for social media and Twitter. My experience has been a positive one. I’ve met like-minded people, shared ideas, attended events and wondered in awe at the sheer amount of resources being shared so freely. It has definitely saved me so much time with regards to teaching. That being said, I know very few teachers who use social media for professional purposes so how far its use in terms of improving teacher wellbeing through collaboration is hard to tell. In terms of directly addressing the wellbeing debate it really is difficult to say. With so few teachers using social media as a resource for teaching, I can’t see it having a big an impact as it should. I would love to see more teachers using social media as a resource for their teaching but also to have their voices heard on a wider scale. Maybe then the wellbeing debate that’s so central to our profession would be taken more seriously by the government.